Contigo West Loop monaco navy autoseal stainless steel vacuum insulated mug is a travel friendly thermos perfect for active lifestyles. Simply push the button to open the Contigo Autoseal lid and release again to close. 100% spill & leak proof when closed. Will insulate hot for up to 4 hours and cold for up to 12 hours. 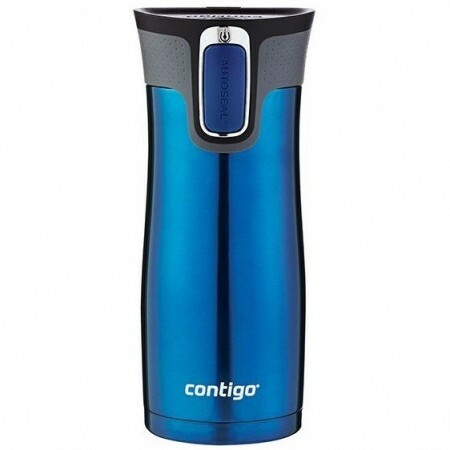 Contigo West Loop autoseal insulated travel mug in a matte navy finish. 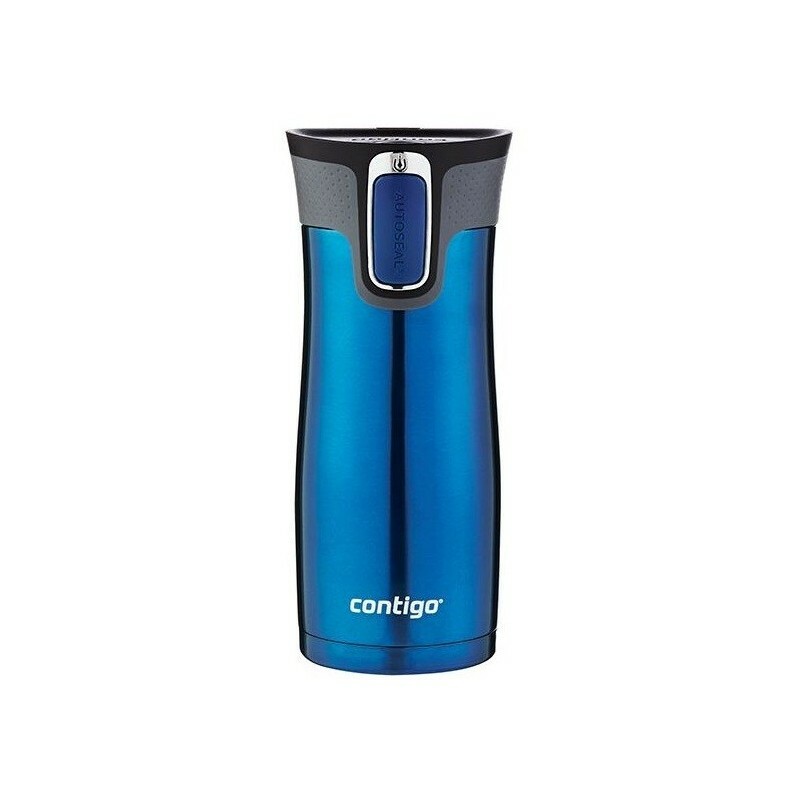 Tea lovers can add the Contigo stainless steel infuser to brew tea on the go. New design lid to allow for easier inside cleaning – the new mechanism flexes easily and there are no loose parts plus includes a special locking mechanism. Bought this for my husband. He uses it on the train and also in the car - fits perfectly in the drinks holder. Lightweight and easy to use. These really are leak proof!